I've said, time and time again, that suicide is not funny. It's not something to joke about. Yet, many people don't take suicide and mental illness seriously — until something like this happens. 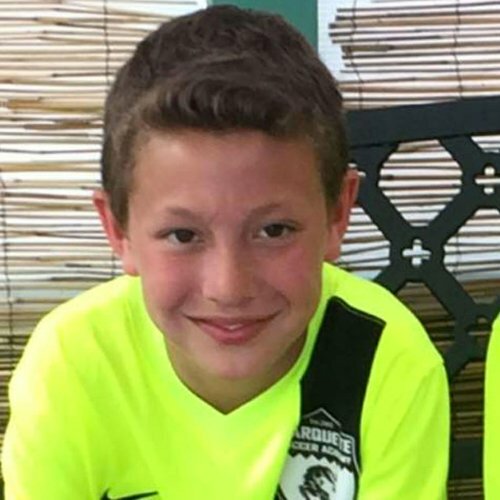 A cruel prank led an 11-year-old boy — not even a teenager yet — to hang himself on March 14. Three weeks later, doctors at the University of Michigan Hospital in Ann Arbor took him off life support. Tysen Benz of Marquette killed himself after seeing social media posts and text messages that his 13-year-old girlfriend had lost her life to suicide. But, the truth is, his girlfriend is alive. It was all a prank set up by her and her friends. And now, because of that prank, Tysen is dead. Even when Tysen posted on social media that he was going to kill himself, his girlfriend still, allegedly, didn't reveal the prank. His mother, Katrina Goss, wrote on GoFundMe, "My son Tysen Benz was an 11-year-old student, athlete, comedian, friend, brother, charismatic and all around amazing child." "I urge families to speak out, reach out and communicate with your children about life's precious gift and the dangers of the internet and texting and how telecommunications can have the same effects as speaking face to face. I want Tysen to be remembered as he was and all the joy he's brought to everyone. Keep his spirit alive by standing strong & fighting against social media bullying!!" WMNU-FM reports that the Marquette County Prosecutor’s Office has authorized charges against the unnamed 13-year-old of malicious use of telecommunication services and using a computer to commit a crime. Tysen never should have died. Right now, he should be out playing hockey with his friends and enjoying the recent snowfall. But, because a bunch of kids thought that joking about suicide was funny, Tysen will never get a chance to do these things again. He'll never get the chance to grow-up. He'll forever be an 11-year-old. Twitter users are sharing their condolences and rage following Tysen's death. Rose Ford‏ tweeted, "Just found out that one of my old friends Tysen Benz passed away... I'm so sorry Ty, I will miss you." Lauren Janelle Smith‏ tweeted, "Suicide is not a joke. It's not a prank. Depression is a serious disease. Stop laughing." Monitoring what your child does online is not being a "helicopter parent." About 34 percent of children admit that they have experienced cyberbullying, according to TeenSafe.com. That means there's about a 1 in 3 chance that your child is being cyberbullied.